You are here / South Africa Travel News / Destinations / Northern Cape / Sutherland, the coldest town in South Africa? 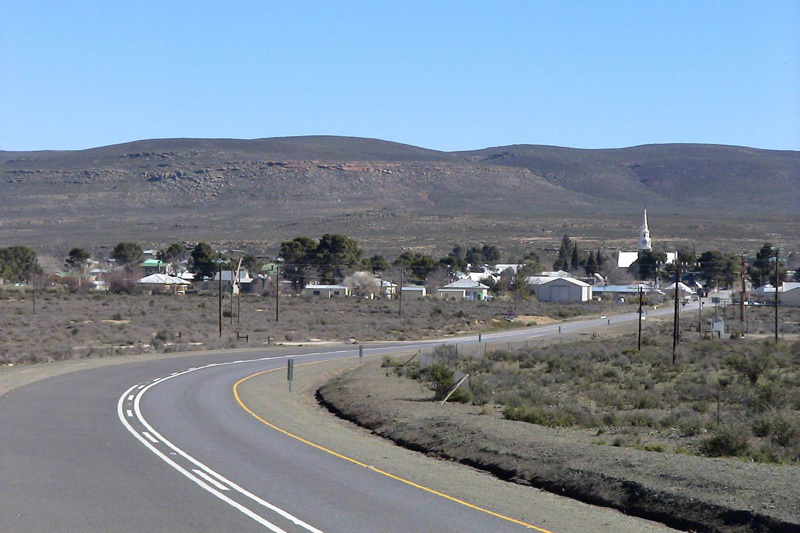 Now reading: Sutherland, the coldest town in South Africa? Sutherland, the coldest town in South Africa? I spent the first few days of August in the coldest place in South Africa; Sutherland. I had arrived prepared with my warmest winter woolies transported from my London days and to be perfectly honest, I was dying to wear my GAP down filled jacket again. Unluckily for me though, Sutherland did not live up to its reputation and instead we walked around in jeans, t-shirts and slops! The beautiful NG Church, designed by Charles Freeman is located on Piet Retief Street. Built to seat 1200 worshippers, the church is enormous with a most impressive ceiling of Canadian Maple – each piece of which was shipped, cut and planed to size to fit perfectly on arrival in Sutherland. The church was only consecrated in 1903 – the original date of consecration in 1900 had to be postponed due to a diphtheria epidemic and in between that time British soldiers fighting in the Anglo Boer War had occupied the church. A wooden door with graffiti from the British soldiers is on view in the church. The Louw Musuem (corner of Jubilee and Northumberland Streets), now used as a literary museum, the original house was built in 1861 and consisted of four rooms. Purchased by a Moltkie Louw in 1904, the house was restored and a distinctive concave verandah was added. The Radar Station, Erected in 1991, the Sutherland Radar Station on Swaartweerberg fills the gap between Cape Town and Bloemfontein. Air traffic, altitude, speed and direction of aircraft can be precisely determined to within a radius of a couple of metres! Flight routes and times can therefore be quickly determined. SALT (Southern Africa Large Telescope): With international partners, SALT has built the largest single optical telescope in the Southern Hemisphere. The telescope consists of 91 movable mirrors, each one about one metre wide and they weigh about 100kgs each. These form a giant mirror capable of observing a candle flame on the moon. It’s used for analyzing the size and age of the universe and studying star systems a billion times to far away to be seen with the naked eye. I really enjoyed Sutherland; of course it would have been magical to have experienced a snowfall but perhaps next time! If you are planning on visiting Sutherland please appreciate that life moves at a slightly slower pace and don’t expect anything to be open between 1pm and 2pm; that’s siesta time! The locals are very friendly and always open to a conversation and a story of life in Sutherland! We spent part of our honeymoon in Sutherland and found it an utterly charming town with wonderfully hospitable people. We stayed at Galileo Cottage with oom Willem and tannie Jenny Kruger – a home away from home, where we were spoilt with wonderful breakfasts, home made bread, complimentary sherry & when we got back after our outings in the icy weather, the coal stove has been lit so that we arrived at a cosy, warm cottage. Pure bliss & complete luxury. We’ll be back! Sutherland is the most amazing town in SA! The people are fabulous, the environment gorgeous. The place to be.